Join Marine biologist Matt Slater and fisherman Ben Lowe and friends at the beautiful Newquay Harbour for an afternoon celebrating one of Newquay’s best kept secrets! NEWQUAY CRAB Meet the fishermen. Learn how to pick out a crab. Take the spider crab taste test. Watch cooking demos from Fishmonger Gareth Horner of Rawles fish shop, and expert chef, Philip Oakes of The Griffin Inn. 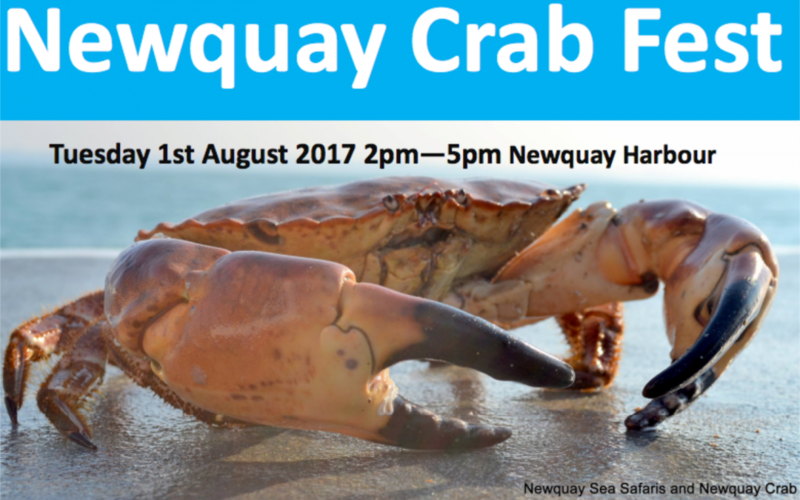 Take a boat trip with Newquay Sea Safaris to pull up some crab pots to find out what lives beneath the surface! Kids crabbing competition—bring your crab lines —big prizes! FREE EVENT (But there is a charge for boat trips -£10 adults and £8 for children – to book a place on the 5.30pm trip please call 07582 466122 to book ) All welcome.